"I miss you everyday, my sweet Pepere!! I love you..."
"To the Lemieux family, We are very sorry for the loss of..."
"Dear Andre and Lorraine and family - we were saddened to..."
BIDDEFORD - Lt. Col. Gerard Normand Lemieux, 84, of Sanford, died on Saturday, April 13, 2019, at St. André Health Care in Biddeford. Gerard was born on Jan. 27, 1935, to Henri and Rose (Gagne) Lemieux in Biddeford, where he grew up and attended local schools. In 1954, he married Bertha Cote, and together they raised five children and shared 64 years of marriage. During his working life he was employed at Kesslin shoe in Kennebunk, Bates and Saco-Lowell in Biddeford and WASCO in Sanford. He went on to work in administration at the Portsmouth Naval Shipyard where he retired as a GS-13 administrative analyst. While working at the shipyard, he enlisted in the military. He served from 1956-1995, retiring after 39 years with the rank of Lieutenant Colonel. He served as the company commander for the Army National Guard in Sanford, Biddeford and Saco, and also served in the Army Reserves. He had tours of duty in Germany and Vietnam, earning many medals for his service. He was also stationed for periods in Kentucky and Ohio. While serving in the military he earned a business degree from Akron University in Ohio. He went on to get his Bachelor of General Studies from the University of Nebraska in Omaha and his Masters of Business Administration and Management from the Golden Gate University in San Francisco. Gerard was a devout Catholic and had been a communicant of St. Thérèse of Lisieux Parish in Sanford. He had also been a member of the Eagles Club in Biddeford and the American Legion in Sanford. 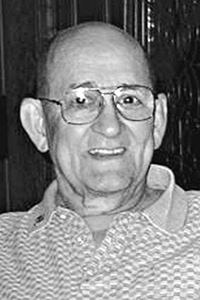 He enjoyed walking, jogging, playing racquetball and cribbage. He had traveled to many countries with his wife and enjoyed many winters in Hawaii and Myrtle Beach. He also enjoyed many summer trips with his grandchildren. Gerard had an excellent sense of humor and enjoyed making people laugh. He was a loving and devoted husband, father and grandfather and will be fondly remembered by all who knew him. Gerard was predeceased by his parents; and by six siblings, Andre, Roland, Roger, Francis and William Lemieux and Roseanne Porter. Surviving are his wife, Bertha Lemieux of Sanford; five children, Laurie-Anne Martin of Shapleigh, Laurette Ford and her husband, Douglas, of Sanford, Lorraine Lemieux of Sanford, Andre Lemieux of Lebanon and Robert Lemieux and his wife, Tanja, of Canal-Winchester, Ohio; 11 grandchildren, eight great-grandchildren and many nieces and nephews. A Mass of Christian Burial will be celebrated at 10 a.m., on Wednesday, April 24, at St. Thérèse of Lisieux Parish, Holy Family Church, located on North Avenue in Sanford. Interment with military honors will be at the Southern Maine Veterans Memorial Cemetery in Springvale. Arrangements are under the direction of Black Funeral Homes and Cremation Service, Sanford-Springvale. To leave a message of condolence for the family please visit wwww.blackfuneralhomes.com.